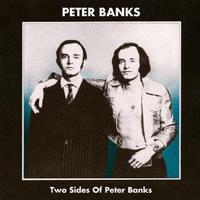 So, this solo album from Peter Banks was released on CD in 2009. But, they just did a re-press of it. That got it under the radar for this issue. Of course, Peter Banks was the original guitarist in Yes and he also formed the band Flash. He passed away earlier this year. Steve Alspach reviewed this album for Music Street Journal before, but with the new pressing, it gives cause for us to get another review of it into the site. Frankly, I’m a Yes fanatic and I’ve always loved Banks’ guitar style. There’s a lot of jazz in his playing. I’ve always wondered what Yes would have become if they’d kept Banks. This instrumental disc might give one possible insight. Banks is joined on this set by some pretty incredible musicians. At various points we get Jan Akkerman, Ray Bennett (of Flash), Phil Collins, Steve Hackett, Mike Hough and John Wetton. This is a great album with a lot of great musicians. This short introductory piece comes in atmospheric and Banks adds more power and sound to it as it continues. Eventually it gets loud, but still maintains the same musical premise. It peaks to a noisy crescendo. Acoustic guitar brings this in and holds it for a time. Banks adds some funky guitar after a time, while still playing lead melody over the top with the acoustic. As it works out to a more energized jam I’m really reminded of Flash quite a bit. Eventually that sound morphs into something closer to fusion before a peak arrives. Then it drops off and we’re brought to a much mellower movement. It starts building gradually outward from there. Banks kind of takes it into some freeform exploration from there. It gets mellow and it gets more rocking at times. It never repeats itself, though. This fires out with a killer hard edged jam that calls to mind King Crimson a bit. After that ends, waves of atmospheric, fusion-like guitar take over. It grows out from there as Banks’ guitar playing gets louder and more adventurous. Here we’re reminded again of Flash, but also of early Yes. A pounding, harder rocking movement takes it from there. 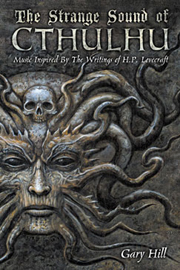 More melodic atmospheric stuff (with some backwards tracking) takes it to the end. Percussion leads off this short jam. As the rest of the instruments join we get some killer funky fusion. This comes out from the previous one feeling quite a bit like something from those first couple Yes albums. More changes ensue, but still I’m reminded of that period of Banks’ earlier group. There are some cool keyboard voicings to be heard here and there along this road. Mellower, atmospheric guitar comes in as this begins. The track moves gradually through with trademark Banks sounds. Acoustic guitar with a bit of a Latin flair opens this. It definitely has a flamenco vibe as it continues. As keyboard and atmospheric waves of electric guitar join the acoustic continues to solo. Some of the keyboard sounds on this make me think of The Doors just a bit, but this song really has little in common with the Doors otherwise. This is almost fourteen minutes in length, making it the longest tune here. It comes out of the starting gate with a real fusion vibe to it. The piece grows from there. Banks just keeps soloing as the piece evolves. It’s quite a freeform piece that wanders through a number of shifts and changes, but remains more or less a fusion backdrop for Banks’ guitar soloing. That’s not to say it’s all fusion (it even shifts to something a bit like early Hawkwind at times) and that Banks solos the whole time. For the most part, though, that analysis is pretty accurate. Bass leads this off and it works to something quite a bit like early Yes. At times this jam works out to something close to country music. There are even some quotes from some country music. This is fun and feels quite improvised.